You are welcome to read what the Xenon Estate guests have said regarding their stay in the resort, the villas and the facilities and services. When one thinks of an island one imagines peace and tranquility. This is exactly the atmosphere created on beautiful Xenon Estate. Thank you for this lovely experience and for your warm kindness. Paola S. & Constantinos R.
Ευχαριστούμε για τη φιλοξενία σας. Σας ευχόμαστε καλορίζικο και καλές δουλειές και πάντα επιτυχίες. Όαση ησυχίας στις πολυσύχναστες και πολυάνθρωπες Σπέτσες. Φωτογενές σκηνικό, καλόγουστες λεπτομέρειες και κάθε άνεση που θα μπορούσαμε να φαντασούμε (και πολλές που δεν φανταστήκαμε). Άψογη αισθητική από δύο εξαιρετικά παιδιά. Το πιο ωραίο ξεκίνημα...για μια υπέροχη ζωή! Ευχαριστούμε για την υπέροχη φιλοξενία. Ραντεβού του χρόνου ...και κάθε χρόνο...στις 28 Ιουνίου! "Voila, c' est fini" , dit la jolie chanson de Jean-Louis Aubeil. dans cette ile magique et en ce Xenon, porteur de toutes les joies d' un ete inoubliable. Vous nous aviez dit que vous feriez nos plus belles vacances. ALL UNITED ON THAT UNIQUE SPOT CALLED SPETSES… ΟΝΕΙΡΟ!!! για όλα!!! (Σημ. και για τις υπηρεσίες super market…! Το μόνο σίγουρο είναι ότι κάποια στιγμή θα ξαναβρεθούμε εδώ! Xenon is absolutely gorgeous and Alex the perfect host. We couldn’t tear ourselves away and booked an extra night on this beautiful island. Alex’x restaurant/beach recommendations were always spot on even for a v. fussy 2 ½ year old. Xenon is one of the best places we have stayed at. The views are second to none. We had high expectations based on the pictures we had seen on the web. However, the reality was even better. 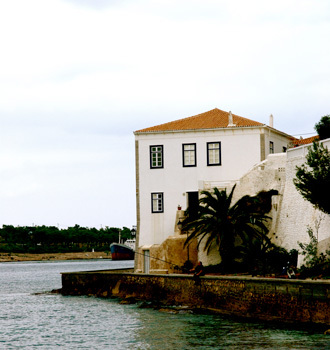 Spetses is a beautiful island with nice beaches and a pretty town. But our favourite thing was just to hang around the estate, sitting by the pool, walking around the beautiful garden and just sitting watching the world go by on our patio. One final thing that made this a special holiday was Alex, a really charming person, friendly and helpful, without being intrusive. Xenon has been the most perfect hideaway, with gorgeous views, lovely spaces to relax, and a perfect balance between lazing and exploring. and the overall appeal and design here. Thanx again for a wonderful time . La vie est toujours aussi belle a Xenon. Alors on reviendra encore l’ annee prochaine! Merci pour tout Alex et garde les maisons au chaud pour 2009. Passez une bonne annee et a bientot a Paris.